Nationwide Bank proves that with great investing power comes bigger rewards. Their latest offering on CD rates do not only have highly competitive rates, but it also showcases the rewards you can expect by just adding a bit more to your initial CD deposit. Laddering CD rates are not new, but it offers consumers more options on what to do with their money. Most banks and credit unions that offer certificates of deposit terms only stick to one APY for any given amount of investment, depending on the maturity term. With Nationwide Bank’s ladderized program offer, you can choose three different APYs in each maturity term offered. Based on the national average of 0.72% for a 1-year term, Nationwide Bank’s offering definitely looks good. It even proves itself to be better than Discover Bank’s 0.90% APY, as with a number of equally big and credible companies. These rates hold true whilst during the maturity period, and any withdrawals made earlier than the fixed date is subject to penalty. For accounts with maturity period of more than three months but less than six, the fee is calculated as 30 days interest of the withdrawn amount. For a less than 24 month-maturity term but more than six months, 90 days interest is incurred as the fee. Lastly, a two-year or higher maturity period yields an interest equal to 180 days on the same withdrawn amount. In order to open a CD account, a secure online application must be done. Personal, contact, and financial information will be asked from you. In addition, the initial deposit to open an account must not be lower than $500. If you have met the figures in the investment bracket, your APY rate can go higher. You may then choose to roll over a new account with a different term upon maturity or withdraw the whole sum. 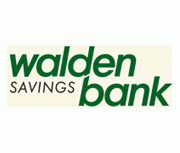 Overall, Nationwide Bank is a great place to lock in your CD investment. With their ladderized program and variable APYs, you can enjoy the rewards that come with such flexibility. It has been 1 year since we wrote about the question “Will CD Rates Go Back Up In 2011” and so far rates have kept falling. 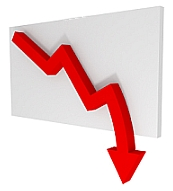 Even mortgage rates are falling to their lowest levels in a year. As I write this post the United States has lost its AAA credit rating even though a default on its debt was diverted. The United States now has a credit rating of AA+ with a negative outlook, which means that the credit rating could drop again within the next 2 years unless if Congress reigns in on its overspending and debt problems. Every program the Fed has enacted to build up the US economy has not translated into job growth or a pick up of the economy, which would translate into higher interest rates. When the Fed bought back billions of dollars worth of treasury bonds, it was speculated that interest rates would increase based on the growth of the economy and the increase of inflation. Once inflation increases so should interest rates. In the past few weeks many CD rates were cut down a few basis points. Before the debt ceiling deal happened many were speculating that CD rates would actually increase because of Treasury yields being forced up by the small possibility of the United States defaulting. As Treasury yields increase so will interest rates, but right after the debt ceiling deal was passed, the stock market started crashing and Treasury yields actually started plummeting. Just this past week mortgage rates dropped close to 4.31%, down from 4.51% last week. It looks like CD rates will most likely continue their downward fall to record lows. How far will they go? Depends on multiple factors, but as long as the economy drags along there isn’t much hope for an increase in rates any time soon. I guess we should be asking the question “Will CD Rates Go Back Up in 2012” or more likely, ‘Will CD Rates Ever Go Back Up”. We thought last August 2010 that CD rates would surely be on the rise, since we haven’t created a magic ball and since no one can really predict the increase of rates, we made an educated guess that was completely wrong. We still have five months left in 2011 to see if rates will increase. Bank of Internet cut its 12 month CD from 1.33% down to 1.20% and they also cut their short term 6 month CD rate of 1.15% down to 1.01%. The new leader for the 12 month CD term is now E-Loan at 1.26%. First Internet Bank of Indiana currently holds the top spot for the 5 Year CD at 2.40% APY with a minimum deposit of $1,000. 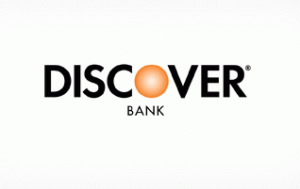 Discover Bank comes in second with a rate of 2.35% APY with a minimum deposit of $2,500. If you are looking for the best CD rates, you might find better luck looking at your local credit union or a credit union that has no registration requirements like Melrose Credit Union out of New York. You can always find the best cd rates here at bankaim.com. The only major change to the CD rates board for the start of this week is the new leader on the 3 Month rate. Sanibel Captiva Community Bank from Fla., is now offering their 3-month CDs at 0.95%. The previous leader was Nexity Bank who recently dropped their 3 month CD from 0.86% APY down to 0.75% APY. iGObanking still offers the best 24 month rate and Melrose Credit Union basically takes up the rest of the top spots. Melrose consistently holds the top rates for not only the 12 month CDs but also the 36 month and 60 month terms. Bankaholic recently sat down with the people at Melrose Credit Union and asked them why they are able to offer such high CD rates, view their responses here. It’s encouraging to see a Credit Union that is actually working for the people and giving back the money made in lower loan rates and higher savings rates. With their current business plan and how they invest their customer’s money, I believe they will hoard the top spots of most of the CDs for a long time to come. Certificate of deposit rates can change at a moments notice. Be sure to visit the bank or credit union’s website to see if the rates posted are still up to date. With most credit unions, you are required to fulfill a bunch of requirements before being allowed into the credit union. Melrose has an open membership, so that anyone anywhere can join after paying a $1 fee and holding $25 in a savings account. Be sure to check out their website and download the application, fill it out and return it with the specified documents. Once you become a member you will have access to the best CD rates available nationally. You can always compare these rates with other banks and financial institutions on our CD rates page.